On Wednesday 21 February 1940, with the concurrence of SS-Reichsfuehrer Heinrich Himmler, work began to convert a former army barracks in the small Polish town of Oswiecim—or, to use its German name: Auschwitz—into a concentration camp. The famous ‘Arbeit macht frei’ (‘Work will make you free’) sign over the main gate dates from the site’s early history as a labour camp for captured Polish resistance fighters. Rudolf Hoess was the first commandant and Josef Kramer (who was later commandant of Belsen and nicknamed ‘the Beast’) was Hoess’s second-in-command. Hoess spent much of his adult life as either a prisoner—in 1923 he received a lengthy prison sentence for murder—or as a jailer, since, after his release through a general amnesty, he joined the SS and served at Dachau and Sachsenhausen concentration camps before moving to Auschwitz. As commandant of Auschwitz, Hoess had the opportunity to develop his murderous talents to a level unheard of in modern times. At the Nuremberg trials, he confessed to establishing large-scale extermination facilities at Auschwitz and signed an affidavit in which he estimated a death toll of 3,000,000, mostly due to gassing. The author and journalist, William L. Shirer, provides a chilling account in his book The Rise and Fall of the Third Reich (Pan, 1964). Hoess finally stood trial in Poland and was hanged at Auschwitz in April 1947. 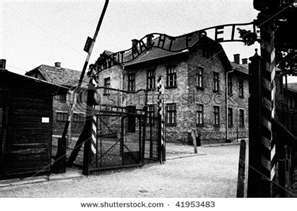 This entry was posted in World War II and tagged Auschwitz, Himmler, Hoess, Kramer. Bookmark the permalink.